I started in 2013, not seriously til 2014. I was producing music before that for a performance art group I was in (WITCH HAZEL) and I started experimenting with deejaying because of that. I played a Little Mermaid themed party called FISH at Berlin Nightclub in Chicago summer of 2014. My deejay daddy Hijo Pródigo organized this party called FUNCTION in his basement with all b2b sets last summer at a time when a bunch of DJs were passing through Chicago…it was a house party so there was a lot of house music (and some of the craziest kuduro I’ve ever heard from Adzua & Laz Flores) and because it was just a party for friends and because we were playing collaboratively the trust and willingness to take risks was in the air. The same people :) Nkisi, Itsï, Club Politix, I’m obsessed with the Mhysa album, Nidia Minaj, K-Hand will always be techno queen, Thoom’s EP on Club Chai was insane this year, basically all the people I included in this mix. When people request 90s rap and they actually mean early 2000s. My friend Michael Pusey told me that when I play I know how to interrupt the dance floor and make people listen. 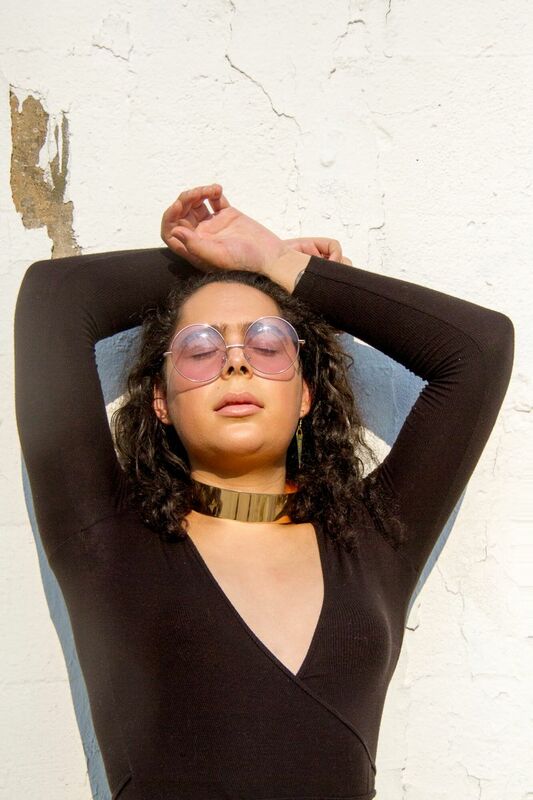 I think that for me has always been an effective tool in getting people to face a concrete reality in an otherwise unreal environment- tracks like Linda Labeija’s “Urgency” have really changed the dancefloor in my sets because it very clearly sheds light on the violence enacted towards trans women of color without breaking the flow of a set so much that the listener/dancer is lost. Rihanna’s World Tour :O DM me. I don’t know if I’ll ever get to but I would love to play in Belize where my family is from. I come from a background in writing (plays and poetry). Not sure if a lot of people who know my music know that about me- IE- don’t expect you’re gonna do the art you think you’re gonna do.